What is ‘BYOD (Bring Your Own Device)’? BYOD (bring your own device) is part of a growing trend, sometimes referred to as ‘BYOT’ (Bring Your Own Technology), which may include numerous devices such as phones, laptops, PCs, iPads or notepads, etc. 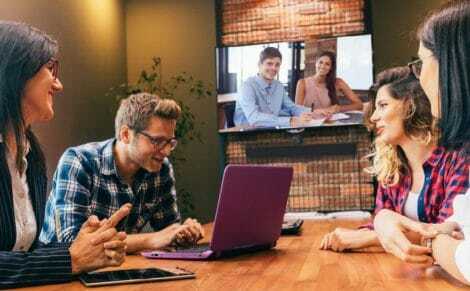 In business meetings (where numerous devices are ‘brought in’ to a huddle space or meeting room, [either physically or remotely] and wirelessly link up to allow presentations, documents, spreadsheets, etc to be seamlessly shared between all meeting attendees). A ‘BYOD bring your own device’ initiative empowers employees/students to work from the device that suits them best e.g. responding to emails via their smartphone, accessing documents on their tablet, etc. Why is BYOD (bring your own device) encouraged? Many companies and educational institutions view this initiative in terms of increased productivity, as well as responding to the expectations of the younger generations who’ve grown up with devices perpetually at their fingertips. Employees and those studying, want the same experiences at work or school, as they have at home, using devices that they are already comfortable with. People are usually happier, and will work faster, when using their own technology. Employees will often work at, or from home, preparing materials they then share in a meeting, as above. Students work on assignments, and can then present and share their learning in a small group, or with the larger class. It is becoming more common for knowledge workers to perform most of their job outside of the traditional office space. They may work from home, from a coffee shop, while commuting, or in a customer’s space. Students are often studying and working in much the same way. 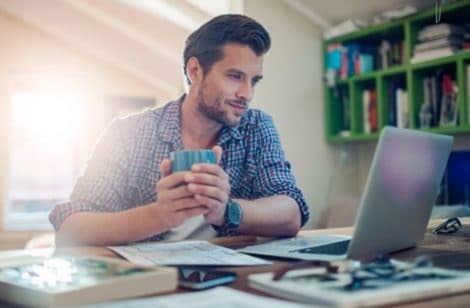 Many factors contribute to an optimal working environment, and most important when it comes to today’s remote and mobile workforce, is technology that aids collaboration. When people are a company’s greatest asset, their ideas spring from wherever they are, so meeting with them where they work is essential. Video conferencing is the new norm. Although a ‘face to face’ call might suffice in one to one communication with a remote worker, it will not work well for group collaboration. Huddle spaces or small meeting rooms should be purpose designed for small groups and quick collaboration. Using this type of space ensures everyone can hear and see all parties’ and their contributions to the meeting. As people bring their devices to the meeting, they should connect intuitively, with no time-wasting ‘set ups’! The remote worker genuinely feels part of the group, and ideas are shared seamlessly and efficiently. Some companies and educational facilities have been reluctant to adopt a ‘BYOD‘ policy, believing this will result in a loss of control. However BYOD appears to be happening whether we want it or not – so it would seem only sensible to be aware of the benefits and understand the risks.